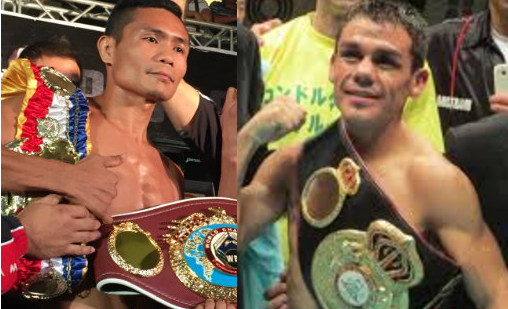 Current IBF World Flyweight champion Donnie Ahas Nietes willd defend his title against top Argentinian Juan Carlos Reveco on November 25th in the Philippines. Nietes who won his IBF Flyweight title in his last fight against Komgrich Nantapech is now a 3 division world champion. He won his minimum world title in 2007 against Pornsawan Porpramook, the also won the light flyweight title in 2011 against Ramon Garcia Hirales of Mexico. Nietes career is not done yet and now looking to defend his title against the top Argentinian KO artist Juan Carlos Raveco. Juan Carlos Reveco will be a top challenger for Donnie Nietes, Raveco has a record consisting of 39 wins includin 19 victories by way of KO and has only 3 defeats. He is a 2 division world champion and most of his fights are against big name fighters including Karim Guerfi, Ulises Lara, Felix Alvarado and more. Reveco won his last fight via unanimous decision against Komgrich Nantapech last September 8, 2017.